Can The Albany Devils Make The Playoffs? Welcome to the AHL, where bubble teams are bountiful and playoff positioning is popping if not perplexing. In the Eastern Conference, there are eight teams separated by six points for the seventh and and eighth slots respectively. Likewise out West, teams three through ten are within also within six points or less of one another. Plus of the teams on the outside looking in, six of them are out by six points or less. In other words, unless you’re the Norfolk Admirals and winners of 21 straight, you’re likely battling for a shot at the Calder Cup playoffs. 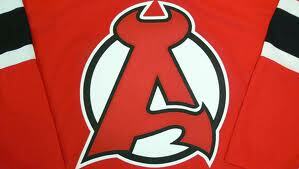 Which of course leads us to the Albany Devils. As of this writing the Devils are in eleventh place in the Eastern Conference, at 29-28-6-5 (69 points). In the logjam, believe it or not the Syracuse Crunch (who recently severed their agreement with the Anaheim Ducks, because of a lack of competitiveness) are seventh with 73 points. Additionally, with 73 points and in eighth place, are the Manchester Monarchs. Following them are: Adirondack Phantoms (70 points), Portland Pirates (70 points) and then Albany with 69 points. Let’s start with point total, shall we? Going into Friday night’s action, playing host to the Providence Bruins (who also have 69 points), Albany can earn a max total of 85 points. Sure running the table would be nice, but fairly unlikely. March has been a tough sled for the Devils. Albany has three wins and two shootout losses. Yet Albany which has consecutive victories at home, plays two more home games this weekend, to close out the month. Yes having six of your final eight contests at home is helpful, granted there are no “easy outs” when virtually no one is out of the race. So let’s break down the remaining schedule, shall we? Closing out March, Albany hosts consecutive weekend contests against the Bruins and the Wilkes-Barre/Scranton Penguins. On the campaign, Albany has two victories at the Dunkin Donuts Center. Providence is currently tied with Albany in points. As for the Pens, the Devils have fared relatively well, splitting two road contests and shutting out Wilkes-Barre/Scranton 3-0 at the Times Union Center. Obviously every game is a must win. A realist would take a split, with the Devils likely taking the first game over the latter. Then when one looks at the home stretch and the final month of April, there are six games on the slate and the final four are on home ice. That stretch begins with a Wednesday contest at Worcester. Both squads are neck and neck for teams in the mix for the seventh and eighth spots. While Worcester leads the season series (2-1), Albany won the most recent tilt by a count of 6-5. Up next a rivalry match at the Glens Falls Civic Center, against the Adirondack Phantoms. Maybe more Albany fans can make their team feel more at home than usual in that one. While each game has been decided by one goal up there, Albany has yet to win in that barn this season. The following night, the Devils will play host to the Phantoms. In Albany this season, the Devils have twice won by a three-goal margin and their lone loss in overtime, came after relenting on two one-goal leads. Closing out the schedule, the Devils fittingly play host to a three-in-three weekend. On the slate are the Admirals, Bruins and Crunch. There are some positives and negatives in that. As mentioned above, Norfolk is playing like the 31st NHL team, but again the Devils have bested the Admirals more often than not this season. Albany has also handled Providence, but must be wary of a B’s team right in the thick of it themselves. Finally, it’s the Crunch and cue the dramatics. Albany has yet to beat Syracuse at home this season. Although conversely, until recently the Crunch hadn’t beaten the Devils in their barn this season. So maybe the one the Devils win, is the one that counts the most. Again I’ll go with a conservative, yet glass half full record of 4-2 for April. In all that accounts for 10 points and that’s not even including potential overtime/shootout losses. So let’s say we hypothetically add in a couple OT/shootout losses along the way. Those points would also get the Devils to 81 in total, out of a possible 85. Is it just me or are you having deja vu from when the 2006-07 Albany River Rats overtook the Bridgeport Sound Tigers with 81 points, for the final playoff spot in the East Division? Last season, the final playoff qualifier, the Connecticut Whale, had 85 points. If you’re wondering the least amount of points tallied by a playoff qualifying Albany team, the 1999-2000 River Rats had 70. Yet that was a different AHL and 70 points won’t cut the mustard this time around. Overall I’d say the pluses are six of the Devils’ final eight contests, including the final four, are on home ice. On the campaign, Albany is 16-9-4-3 at home. Additionally, as of this writing four of the Devils’ eight remaining opponents are seventh or lower in the Eastern Conference standings. On the flip side, currently the Devils are on the outside looking in as well and can ill afford to take any opponent for granted in this stretch. One of their games are against the red-hot Admirals. They have yet to defeat Syracuse at home this season or Adirondack on the road this year. Can the Albany Devils make the Calder Cup playoffs? Sure. They’re just going to need to finish strong to finish in the playoffs.